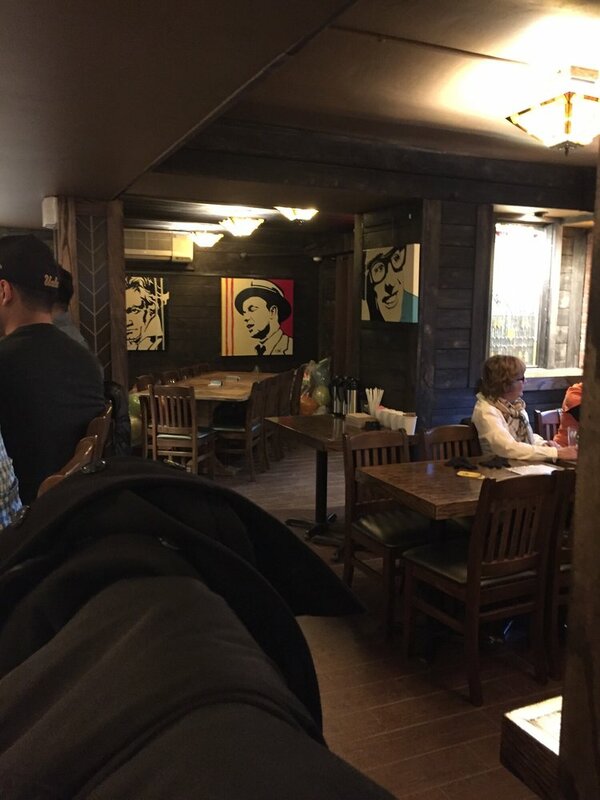 Photo Gallery of the Arts & Crafts Beer Parlor bars including the Greenwich Village and Harlem locations. 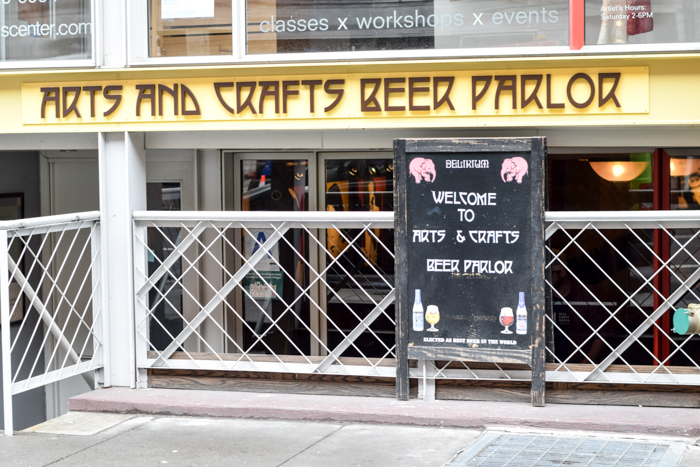 Just a few steps down from the hustle of 8th Street you will find a little piece of craft beer heaven. 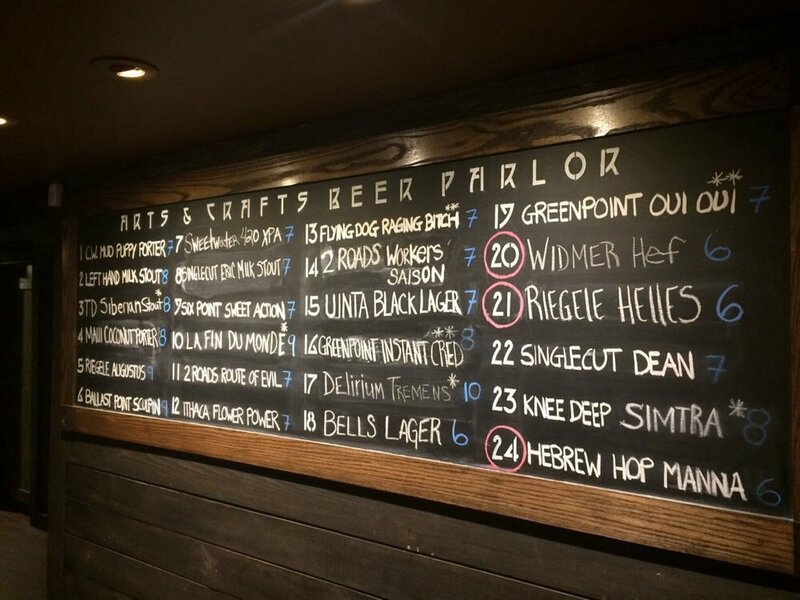 The centerpiece of the Arts and Crafts Beer Parlor is the chalkboard displaying 24 offerings of craft beer on draft. 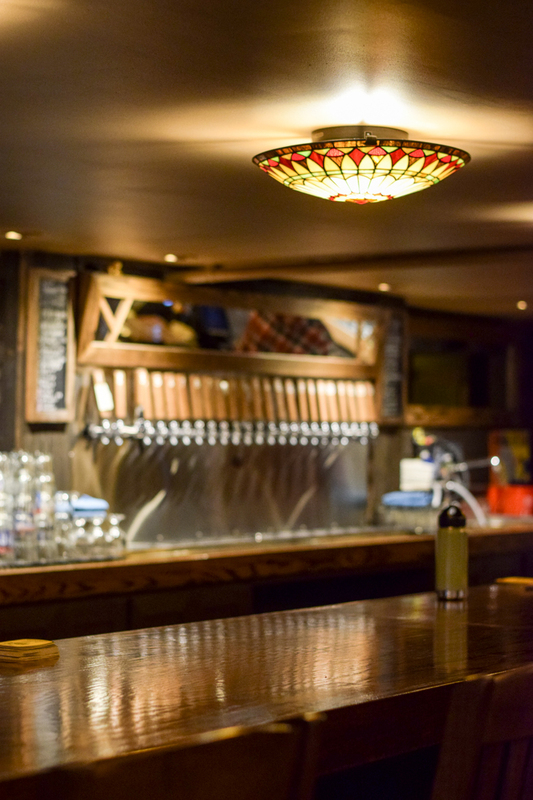 Our draft beer list is constantly rotating and curated to please the most discerning craft beer aficionado. We offer a variety of styles from around the country and around the world, including a good selection of locally sourced craft beer.. Whether you are a "hop head" or a Belgian beer lover, we will surely find something to please your palate. Not in the mood for beer? No problem. We offer a variety of wine, cider, and non-alcoholic beverages. And when you get hungry, grab one of our savory bar bites to enjoy with your beverage of choice. 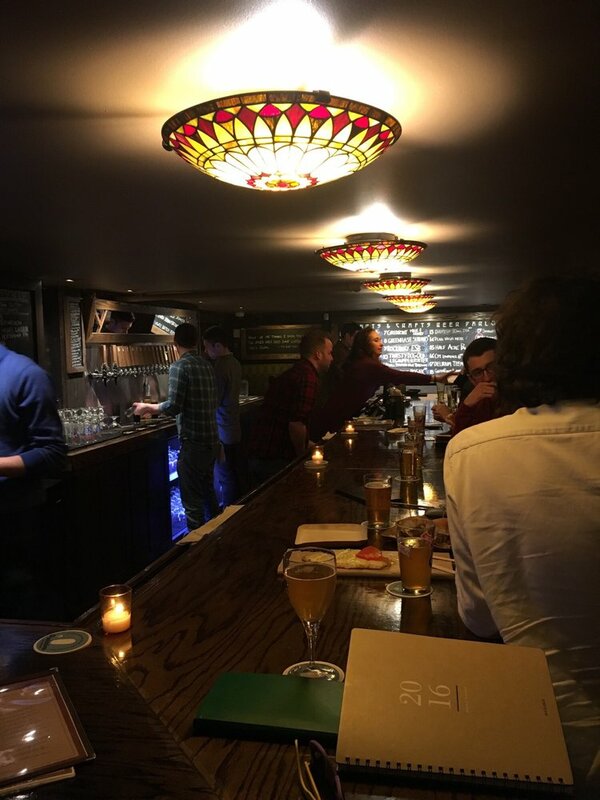 Right across the street from Columbia University you will find the perfect place to enjoy the best craft beer on the Upper West Side. 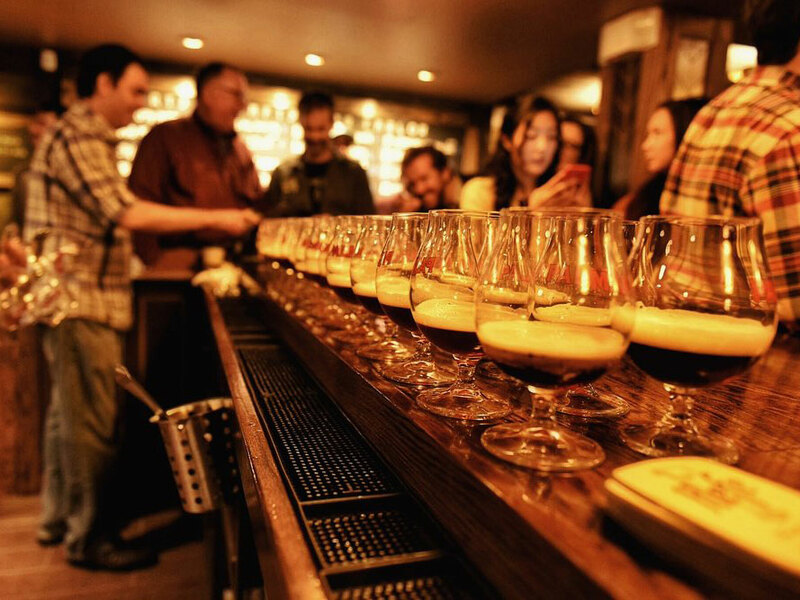 Like our original location in Greenwich Village, our craft beer list is constantly rotating with offerings from New York to Sri Lanka. Whether you are a fan of IPAs or Belgian Tripels, we will certainly find something to please your craft beer taste buds. In addition to our robust craft beer list, we offer an expanded food menu featuring "comfort food for beer." Share a Roman flat bread pizza or treat yourself to our meatball boat. Our food menu is the perfect complement to a glass of perfectly poured craft beer, wine, or cider.